A healthy diet is essential for a healthy life and there's no reason for anyone to doubt that. It's important that we give up on junk foods and excessively sugary or salty foods in order to keep our blood sugar levels and blood pressure under check. However, an excessive obsession with eating healthy may become troublesome and may lead to a lot of stress and anxiety. A lot of people are becoming paranoid about their diets, resulting in unhappiness and a strained relationship with food. In such a scenario, it's important to remind yourselves to live a little once in a while. While eating healthy and clean on a day-to-day basis is important, it is completely okay to also celebrate cheat days every once in a while. But there is a right way of indulging in cheat meals and celebrity nutritionist Rashi Chowdhary explains just how to cheat on your diet, without derailing it. 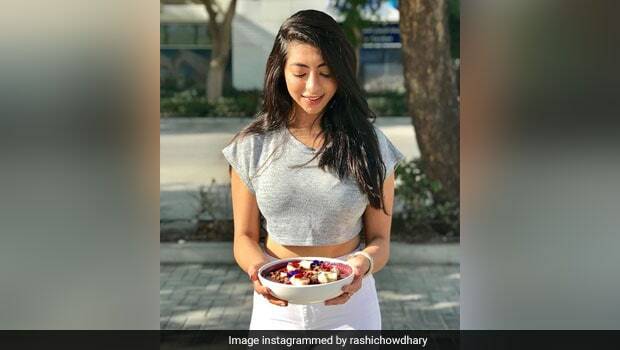 Rashi Chowdhary, who is a nutritionist to celebs like 'Baahubali' star Tamannaah Bhatia and 'Gangs of Wasseypur' actor Huma Qureshi, is known to dole out helpful information about diet and fitness on her Instagram page. In her Instagram post today, Chowdhary highlighted the importance of maintaining a healthy relationship with food and the role of cheat meals in that. "How many cheat meals can I eat? This is one of the most commonly asked questions," wrote Chowdhary on Instagram, adding, "Here's my response." Also Read: 6 Cheat Meal Mistakes You Should Never Make! 1. Treat Meal: She suggests calling 'cheat meal' a 'treat meal,' which will help you improve your relationship with your favourite desserts or sinful goodies. 2. Earn It: Chowdhary suggests that for you to really enjoy your treat meal, you've got to put in the hours and earn the indulgence, by first working out hard. She says one should treat themselves to a cheat meal only on days that they've 'smashed their body goals.' This helps in eliminating guilt trips, says Rashi Chowdhary. 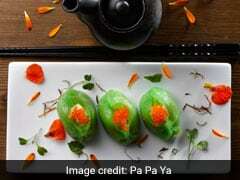 Also Read: Katrina Kaif Just Revealed Her Favourite Indian Dish- Can You Guess What It Is? 3. Don't Worry Too Much About The Scales: Chowdhary says that the weighing machine may sometimes not reflect your hard work. She says that even after working out, one may not lose weight because gaining muscle and dropping fat. She advises that we should still go ahead and indulge ourselves, if we're sure we've put in the work. 4. Don't Jump The Gun: Chowdhary finally warns people against pre-emptively treating themselves before putting in the hard work or if they're not happy with the progress they've made. 5. Don't Eat Your Emotions: Rashi Chowdhary warns against making your comfort food or favourite junk food 'a crutch for your negative feelings.' "It's hard not to reach out to the chocolate cake when you're feeling down and out... but that's the only way you'll train your brain to get better at this process," says Chowdhary. Also Read: Are You A Binge Eater Or Emotional Eater? Find Out Here! Cheat meals don't have to be about the guilt trips and the resentful workouts. They are all about eating the food you love and enjoying your life in a healthy way!